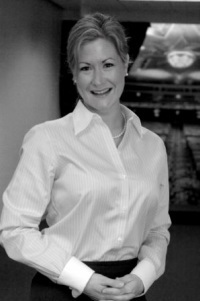 Isabel Carrington has been the Director of Education for the Warner Theatre since 2003 and manages all aspects of the Warner Theatre Center for Arts Education (WTCAE), including the development of the general prospectus and school-wide curriculum. As a dramatic arts teacher for over fifteen years, Isabel has taught children and adults of all ages in various artistic disciplines, specifically: Stanislavsky, Meisner and Linklater acting techniques, improvisation, play writing, Shakespeare on stage, Greek drama, dialects, theatre history, and movement for the actor. In addition to expanding the general arts curriculum with the addition of dance, music, visual, technical and writing arts programs here at the WTCAE, Isabel has developed and facilitated successful artist-in-residence programs for area schools and has partnered with state organizations to bring arts awareness and educational outreach opportunities to children and adults from all demographics and socio-economic backgrounds. At the WTCAE, Isabel is the instructor of the most advanced acting class, Performance Lab, for high school aged students. She has directed over twenty-five Young Actors Series productions on the Warner’s Main Stage and Nancy Marine Studio Theatre stage. An alumna of Syracuse University and Wesleyan University, Isabel has worked as a professional actor and director throughout the Northeast for over twenty years. Isabel serves on the Board of the Connecticut Educational Theatre Association and is a member of the American Alliance for Theatre and Education (AATE).